As a health care professional, consultant and frequent commentator to many health websites, I have had the opportunity to write at length about lifestyle dynamics and the development of chronic diseases. I have always said that your lifestyle can really make a difference relative to your risk of developing diabetes. 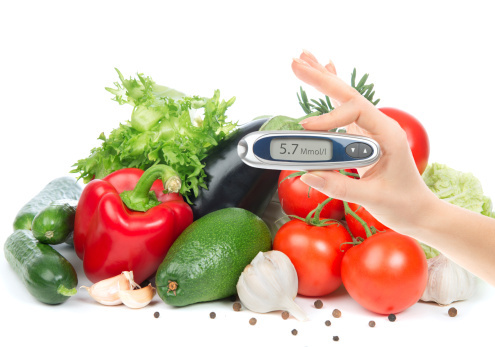 I have even previously said that lifestyle intervention is an acceptable manner in which to manage diabetes once you have been diagnosed with it. New research recently published in the Annals of Internal Medicine looked at the effectiveness of various lifestyle interventions on the progression of diabetes in high risk patient groups or on the development of heart disease or death in patients with diagnosed type 2 diabetes. To do this, the researchers looked at a total of 20 studies. These studies were systematically reviewed and were randomized, controlled trials of at least three-months duration, which included dietary changes, exercise, and one other variable compared to standard medical care. The trials were pooled and the data were analyzed in a meta-analysis. The results of the study indicated that in seven studies, lifestyle intervention strategies were successful in reducing the risk of diabetes from the end of the study period extending up to 10 years after its conclusion. In two other trials which dealt with participants who had type 2 diabetes, lifestyle intervention compared with drugs showed no difference in mortality rates. Although this data was not able to demonstrate the effects of lifestyle intervention upon adverse health outcomes in patients with type 2 diabetes, other published data has shown a definite benefit. For example a study recently published found that in obese patients with type 2 diabetes, diet alone was just as effective as metformin to lower the risk of subsequent cardiovascular events. In a trial lasting four years, which involved 5,145 overweight or obese adults with type 2 diabetes, intensive lifestyle interventions resulted in sustained weight loss, improved fitness, and better blood sugar control and reduced cardiovascular risk factors compared with standard care. As this study already has demonstrated, lifestyle interventions can play a very important role in the prevention of type 2 diabetes in people who are at high risk. In diabetic patients, lifestyle intervention, combined with standard medical care, can also be a very important strategy in the management of this chronic disease process. Schellenberg, E., et al., “Lifestyle Interventions for Patients With and at Risk for Type 2 Diabetes: A Systematic Review and Meta-analysis,” Ann Intern Med 2013; 159(8): 543-551. Ghotbi, A.A., et al., “Association of Hypoglycemic Treatment Regimens on Cardiovascular Outcomes in Overweight and Obese Subjects With Type 2 Diabetes: A Substudy of the SCOUT Trial,” Diabetes Care. October 2, 2013. Wing, R.R., et al., “Long-term effects of a lifestyle intervention on weight and cardiovascular risk factors in individuals with type 2 diabetes mellitus: four-year results of the Look AHEAD trial,” Arch Intern Med. September 27, 2010; 170(17): 1566-75.